No need for developer hate- who built your house? So I was reading, okay skimming, through a lot of web posts and articles about housing and there was a fair amount of hate on developers, real estate developers. Apparently all developers care about is money. Okay, but didn’t a developer build your house? Your apartment? So the newly historic landmarked Wardman Flats were built by a real estate developer Harry Wardman, which is why it is landmarked… Okay it was landmarked because a present day developer threatened the turret at 319 R Street and landmarking is a hammer people can use. Wardman did not build the houses on Square 519 (btwn 3rd, 4th, Florida, and R Streets NW) for charity. He was a builder, that’s how he made money. He built a lot in DC, mainly, for the money. 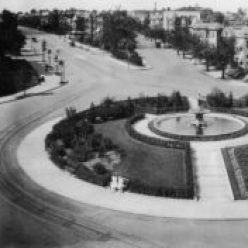 A few years before Wardman built in Truxton Circle and a few blocks over the Washington Sanitary Improvement Company (WSIC) built flats between North Cap, Q, P, and 3rd Streets NW. Paul Williams has a wonderful blog post about WSIC, so there is no need for me to rehash that history. WSIC wasn’t completely all about the money, more about ‘business philanthropy’. I’m not completely sure, but my reading is that this type of project was to provide dividends to stockholders. So doing good and making money? My own house is over 140 years old and as far as I can tell, was built by a guy who rented to poor black labors. Can’t find anything that shows he built my house for anything other than the money. 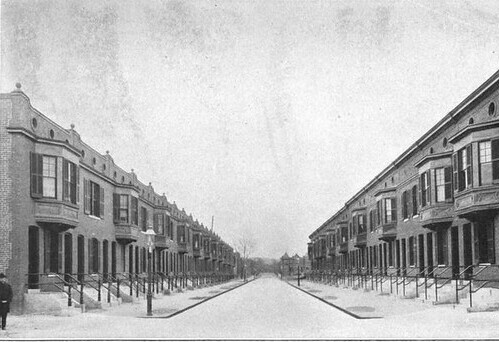 There is no public housing in Truxton Circle. There is HUD subsidized housing, but no public housing. But even city supported or federally subsidized housing involve developers as well. I don’t have any good history about that so, this is where I’ll end this post. Posted on May 9, 2018 Categories Buildings, Commerce, Housing, Truxton HistoryTags Development, History, HousingLeave a comment on No need for developer hate- who built your house?